Durkle are proud to present our early Christmas present to our supporters – this free collection of 4 bangers representing the grimy side of the label. 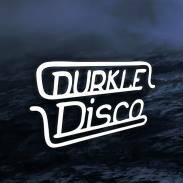 People should already be familiar with Unkey & Carlos’ work for us, and we’re also happy to welcome along Arkane Soul and Daffy & Tenchu for their first releases on Durkle. Free download available exclusively from our Bandcamp page.